Crayola might have been a little late to the adult colouring book game, but thanks to a collaboration with Living Royal, the company is ensuring it’s going to remain well ahead of its competition when it comes to fashions that adults can customise with coloured marker. You might already have a drawer full of bright, colourful socks, but how often have they not been quite a perfect match for the outfit you’ve chosen? 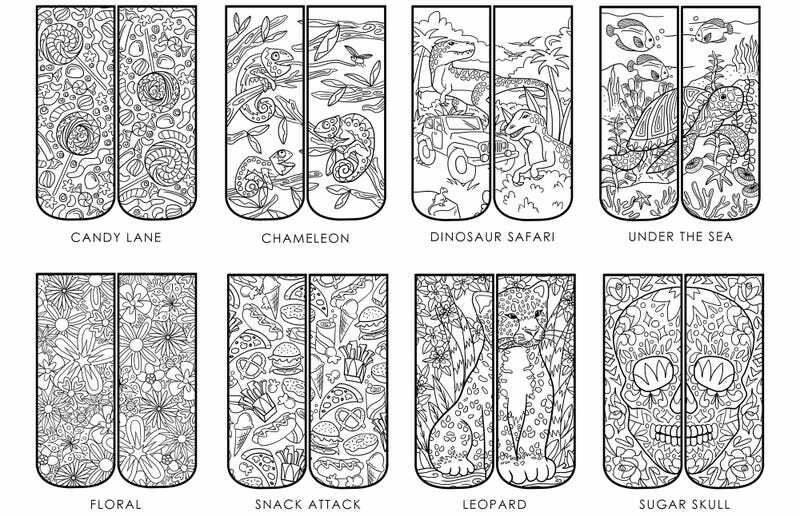 To ensure you never have to deal with such a fashionable nightmare ever again, keep a stack of these Colour-In Socks on hand and simply customise them however you need. Available starting on April 1st in eight different designs, each $10/£7 pair includes four Crayola fabric markers so that you don’t spend hours colouring in all of the complex details, only to have your masterpiece come out of the washing machine with all the colours bleeding together.